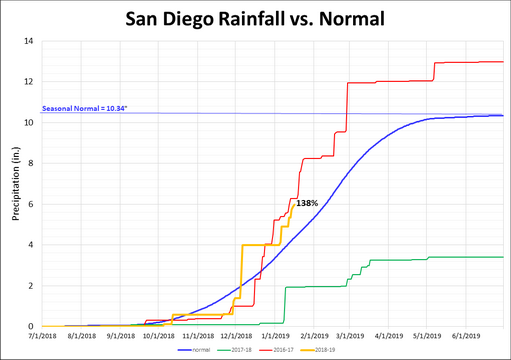 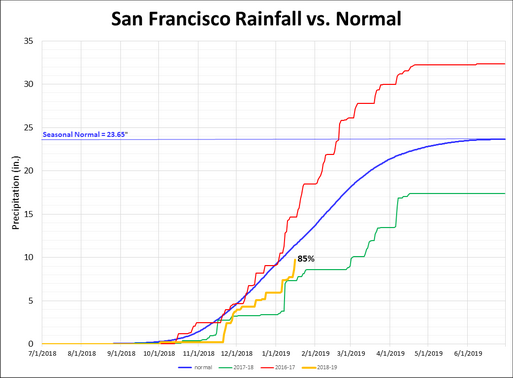 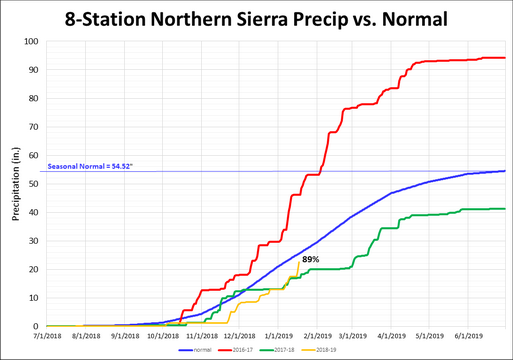 The first 16 days of January have seen great rainfall recoveries across California from recent storms. 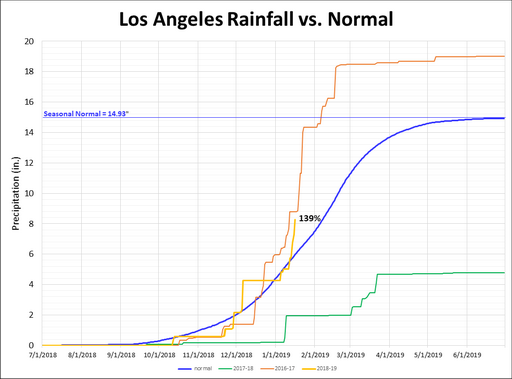 Most locales have jumped by about 20% versus their Jan. 1st %-of-normal numbers. 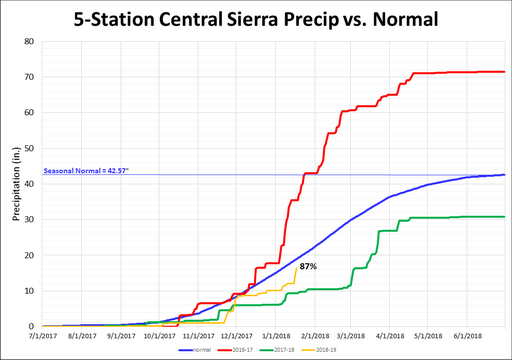 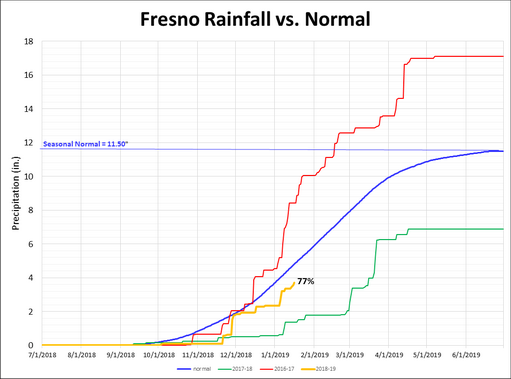 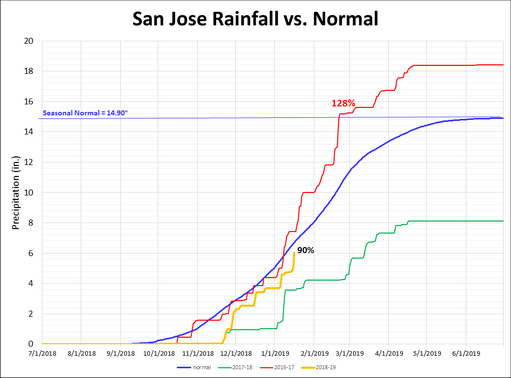 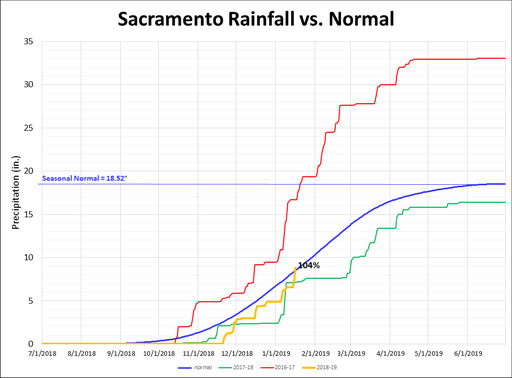 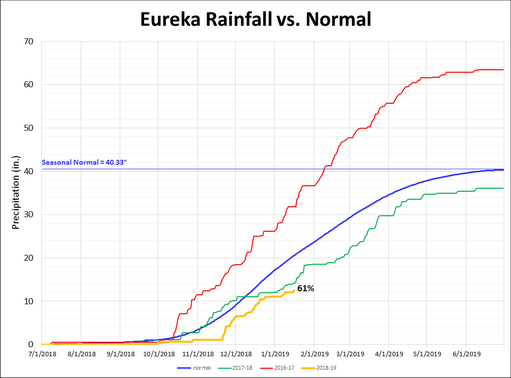 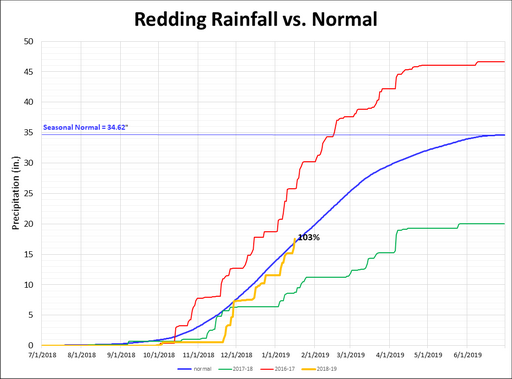 The very important 8-Station N Sierra Index (8SI) has jumped to 89% of normal while both Redding and Sacramento are now just above normal. 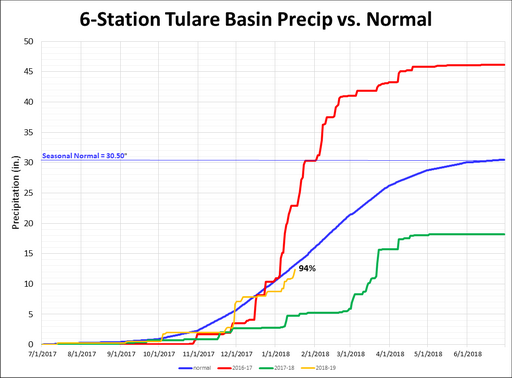 For others see below or https://www.ggweather.com/water/.